Only the engine, some components and the basic geometry are carried over from the original Desmosedici. NCR with the help of ATRgroup designed a new carbon monocoque frame. ATRgroup is specialized in composite structures for automotive, aerospace and other applications. 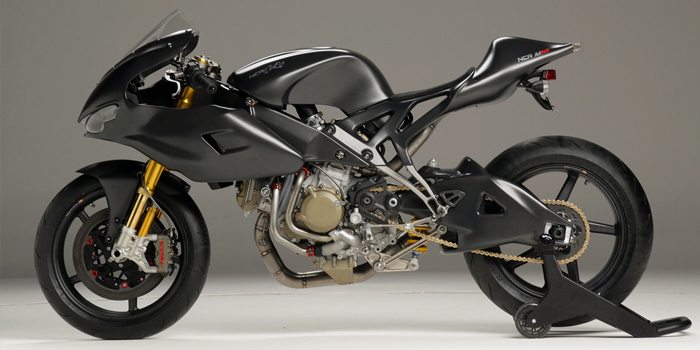 This cfrp structure replaces the tubular steel frame of the original bike, in a similar fashion to Ducati race team. During the last seasons Ducati is using a cfrp frame in its race bikes instead of the initial steel trellis frame. In the image above you can see a side by side comparison of the two bikes. NCR's chassis is lighter and also provides better airflow to the airbox through the headstock (some sportsbikes, like kawasaki ZX-6R have a similar but aluminum frame). The new airflow, together with minor modifications to the engine and also a new exhaust result to over 200hp to the rear wheel. With a dry weight of only 145kg the M16 is lighter than a motoGP bike with similar power. The chassis isn't of course the only cfrp part of the bike. The rear swingarm, the subframe for the seat and even the wheels are all made of carbon fiber. Poggipolini that owns NCR since its founders withdraw on 2001 collaborated with the various titanium parts for the bike. 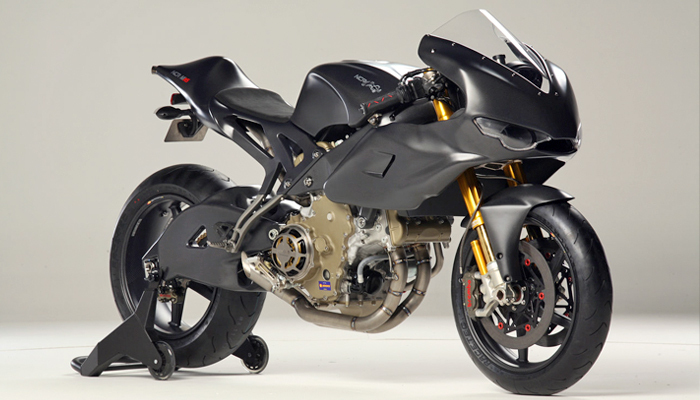 This is by far the most advanced concept NCR has ever made and one of the fastest and most exclusive bikes ever. NCR is a licensed motorcycle manufacturer since 2005 and with M16 will get a big amount of well deserved attention.